Obituary for Deacon James B. Atkins | C. C. Carter Funeral Home, Inc.
Deacon James Bennie Atkins, transitioned to be with the Lord Sunrise May 23, 1933 Sunset Wednesday April 3, 2019. He was born in NC to the union of Amos Atkins and Lola Mae Atkins-Bullock. Deacon Atkins was preceded in death by his parents, his wife of 46 years Marion L. Atkins his sister, Elviolet Wilson his son, Douglass L. Minns, his grandson, Ryan DeMarion James Render, his brother, Herbert T. Atkins. Deacon Atkins was the eldest of 5 siblings. At the age of 18 years old, he relocated to Newport News, VA . Where He was gainfully employed for over 45 years as an auto body shop technician. Deacon Atkins was a faith servant of our Lord Jesus Christ, and a dedicated member of Calvary Community Baptist Church for well over 40 years. He served as the overseer of the church until the installation of Rev. Elexander Adkinson. Jesse L. Render Jr., Daniel Fox, Rachel Fox-Phillips, Marion Patrice Morgan Render, LaTasha A. Atkins and many great grandchildren, nieces, nephews, family and special friends. 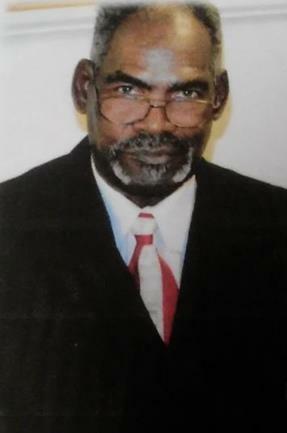 Services for Deacon James B. Atkins will be held noon Thursday, April 11, 2019 at Little Zion Baptist Church, 1824 W. Queen St. Hampton, VA 23666 by Dr. Hallie Richardson Jr.
A viewing will be held from 3:00 p.m. until 5:00 p.m. Wednesday April 10, 2019 at C.C. Carter Funeral Home, Inc. It is the desire of the Atkins family that you keep them in your thoughts and prayers. The family of the late Deacon James B. Atkins has entrusted his final care to the staff at C.C. Carter Funeral Home, Inc.